Filming for Black Panther is underway with a few photos from the set making their way to the press. And, while not much is known about what the cast and crew are shooting, the stars of the highly anticipated film seem to be having a good time on set. 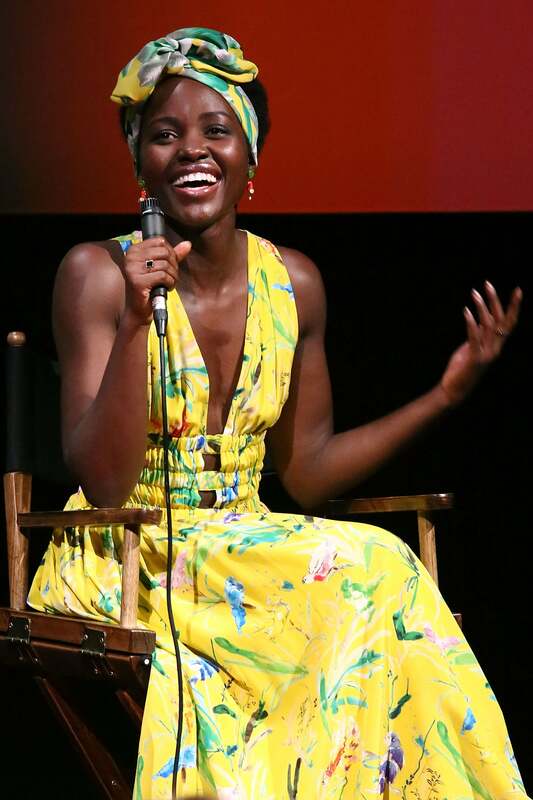 Lupita Nyong’o recently shared a video of herself and co-star Danai Gurira trying the #GetOutChallenge, the viral trend inspired by Jordan Peele’s Get Out and one heart-stopping scene. However, it seems someone didn’t realize what direction everyone else was going, causing everybody to crack up at the adorable goof. Earlier this month, Nyong’o and Gurira celebrated their birthdays with the rest of the cast, throwing a stellar Coming to America-themed joint party. Gurira dressed as Imani Izzi, Nyong’o as key lady-in-waiting, and Chadwick Boseman as Reverend Brown. Daniel Kaluuya, director Ryan Coogler, and Janelle Monáe were also in attendance. We’re glad everyone’s having so much fun. Hopefully, Nyong’o and the rest of the cast share more from the set of Black Panther.